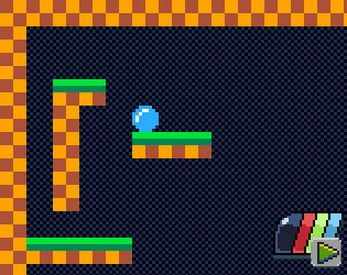 Platforming Framework in 100 lines of code. The goal of this cart is to demonstrate a very basic platforming engine in under 100 lines of *code*, while still maintaining an organized and documented game. It isn't meant to be a demo of doing as much as possible, in as little code as possible. The 100 line limit is just meant to encourage people to realize "You can make a game with very little coding!" This will hopefully give new users a simple and easy to understand starting point for their own platforming games.